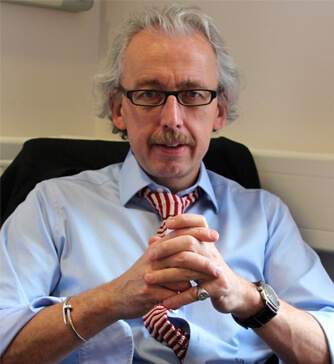 Dr Huw Beynon graduated from St. Bartholomew’s Hospital in 1984 and holds a CCST in Rheumatology and General Internal Medicine. His previous appointments include: Registrar in General Medicine, Rheumatology, Cardiology at the Hammersmith and Ealing hospitals; Registrar in Nephrology, General Medicine, Hammersmith Hospital and Medical Research Council. Training Fellow, Rheumatology Unit, Royal Post Graduate Medical School, Senior Registrar Endocrinology Unit Hammersmith Hospital and he was Senior Registrar in Rheumatology and General Medicine at the Hammersmith and Ealing Hospitals until his appointment as Consultant Physician and Rheumatologist at the Royal Free Hospital. Dr Beynon’s interests include general medicine, rheumatology and connective tissue disorders.